so we were gathered at the royale bintang damansara and waited for the rest to come. the event was pretty simple. we waited for the busses to come pick us up and off we went to the factory. 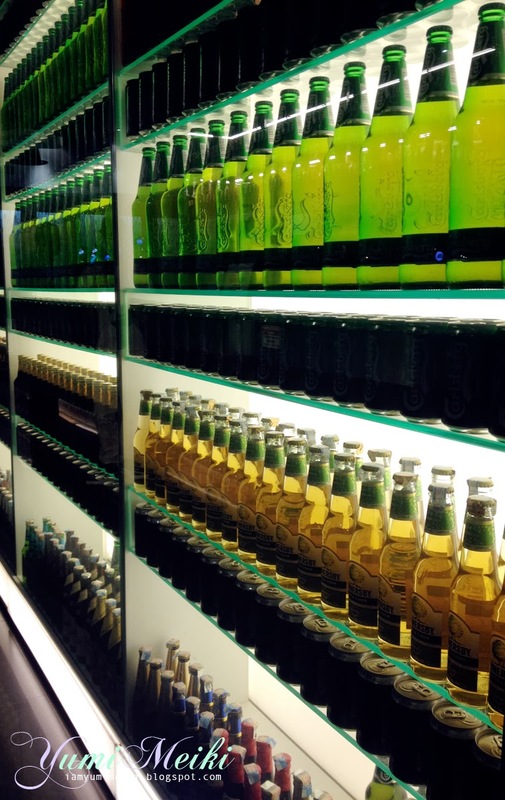 upon arrival we had to be tagged to enter the lounge area for dinner and free flow of any type of drink that Carlsberg manufactures. of course i got myself a glass of my all time favourite Somersby. with jokes and laughter with the international players, my table was with River, KK - my dart partner and this other guy. best part is i got to meet my ex-colleague and we managed to catch up. towards the end of the night, there was this game whereby we are given 1 house dart each and the target was the middle of the in-bull. winner gets to go away with RM1,000 whereas if you don't manage to hit the bull, you will have to drink a glass of beer. 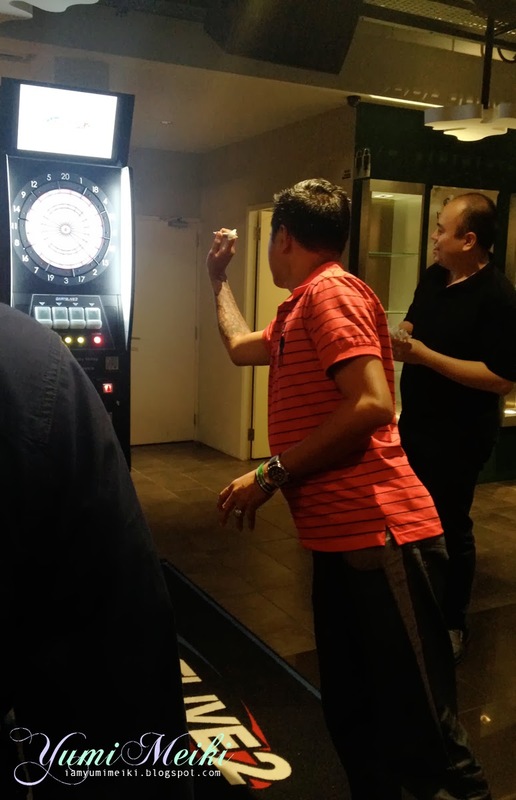 the stake went up to 3 darts with RM1,500 but no one managed to walk away with that money. but all was fun and laughter. with even the international players trying their luck. most importantly we brought laughters back with us and then prepared for the tournament for the next day.